Below is the list of members who helped form the Helensvale Cricket Club, now known as the Helensvale Pacific Pines Hawks Cricket Club. Top Row Left to Right: David Jones, Rick Love, Les Dobbie, Tom Connolly. 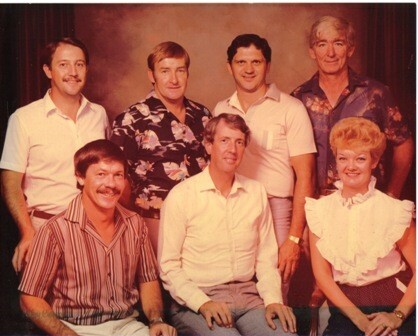 Bottom Row Left to Right: Ken Trembath, Chris Payne, Gay Trembath.